For road, I currently run in Brooks Levitate, and I love them. For trail or when there’s not too much mud, I wear Brooks Pure Grit or more often now Brooks Caldera. On the fells, I run in Inov-8 Mudclaws 300, or Roclites. Both are excellent. For races, I usually wear my rainbow compression socks — now sleeves, as I cut the feet off — by Lunatik Athletiks, which I got from Run Mummy Run. In summer, I favour this great skirt from Decathlon. It’s great because it’s comfortable, the shorts don’t ride up too high, and it has proper pockets. If not, these excellent Race Elite Inov-8 shorts. Yes, even in winter. My favourite socks, by far, are these woollen trail socks from Injinji. They look daft and feel amazing. I currently have two waterproofs; an OMM Kamleika and an Inov-8 Stormshell. Both are excellent, though the hood on the Stormshell is much better than the Kamleika’s. My waterproof trousers, never yet used while running, cost £10 from Regatta and do the job. My watch is a bright and garish Garmin 235. Disclosure: Brooks send me free shoes. They impose no requirement for me to rave about them. But they are genuinely great shoes, which is lucky. Everything else, I buy or get for birthdays and Christmas from FRB. 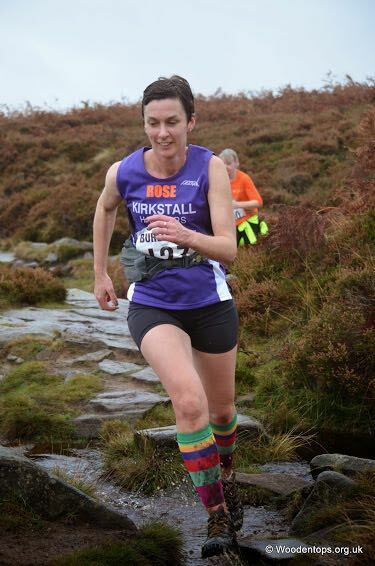 I switched running clubs last year and now run with North Leeds Fell Runners. We are a boutique club with fewer than 50 members and with very stylish kit, featuring the red kites — though they are blue — of Harewood estate. I still second-claim with Kirkstall Harriers. Leeds has lots of running clubs and new ones are starting up frequently (hello Farsley Flyers and Bramley Breezers), which is great. For my tendon injury last year, I had excellent care from Lucy Gledhill at Coach House Physio and wouldn’t go anywhere else. I get sports massages from Ward Jefferson of Descansco Massage in Pudsey in Leeds. I recommend all of them highly. 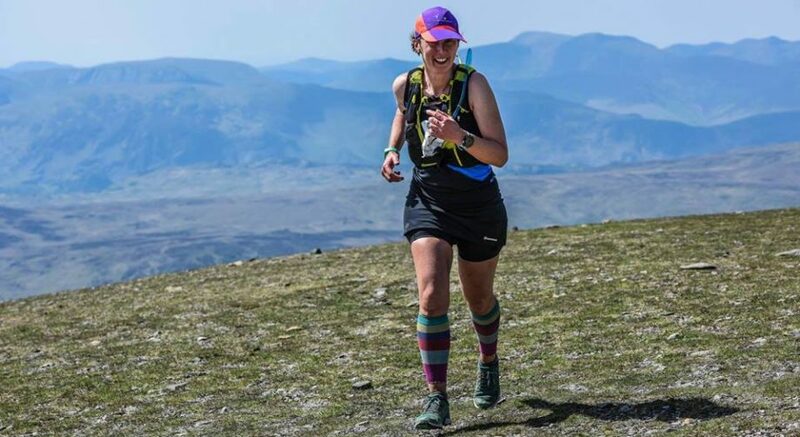 I write now and then for Kate Carter at the Guardian, and usually comment on the weekly debrief on the running blog. It’s a very nice community and if you need encouragement, you’ll definitely find it there. I’ve read a lot of running books. Most of them run out of steam. Yes, even Haruki Murakami. The best, I think, is Feet in the Clouds by Richard Askwith (my former editor at the Independent). I’m vegetarian. I don’t subscribe to the gluten-free spirulina clean eating nonsense which is currently so fashionable. My cheekbones aren’t good enough, and my hair needs to be glossier. But I do subscribe to eating fresh, healthy food, and sometimes that includes pizza (yes, with gluten) and cake. For a while I had a food blog here, but I’ve lapsed. I get inspiration from Veggie Runners‘ website, Anna Jones’ A modern way to cook, Hugh Fearnley-Whittingstall’s Veg Every Day. All of these sources have some things in common: the recipes are manageable, the ingredients are findable and affordable and the food is edible.